Onions are wonderful for adding flavor to food. They're pungent, but oh, so tasty! Most people wouldn't guess they have a lot of great health benefits as well. They won't cure everything as some might claim, but finding ways to add them to your diet could be of great benefit to you. Check out the 6 home remedies below and see which ones could be beneficial to you. 1. Boost your immune system. Onions are an excellent source of vitamin C according to WebMD. Adding them to the foods you eat is a great way to get this immune-boosting vitamin to help your body fight off sickness and disease. 2. Improve brain function. Some would tell you that onions will prevent Alzheimer's. Unfortunately, no studies prove that. What studies do show, says the Mayo Clinic, is that the onion's phytonutrients may help improve your brain's function. 3. Help with digestion. Onions contain natural probiotics that aid in the digestive process. Some people take probiotic supplements, but you can get natural probiotics in your food. The Mayo Clinic lists onions as one of those natural sources. 4. Regrow hair. Hair loss plagues both men and women, and no one likes it. Applying onion juice to the scalp two times a day might result in hair regrowth. Medical News Today says it will take at least two weeks to see any results. Healthy and Natural World says to cut an onion in small pieces and put it in a blender or juicer to get your onion juice. Work the juice into your scalp and let it sit for 15 minutes before washing your hair like normal. 5. Remove scars. Old scars are often a source of personal irritation. Finding a way to remove them may seem impossible; but according to Medical News Today, onion extract may be the key. The jury is out as to whether onion extract works. Some studies say yes, and others say no; but trying it shouldn't leave you any worse off. 6. Prevent the flu. 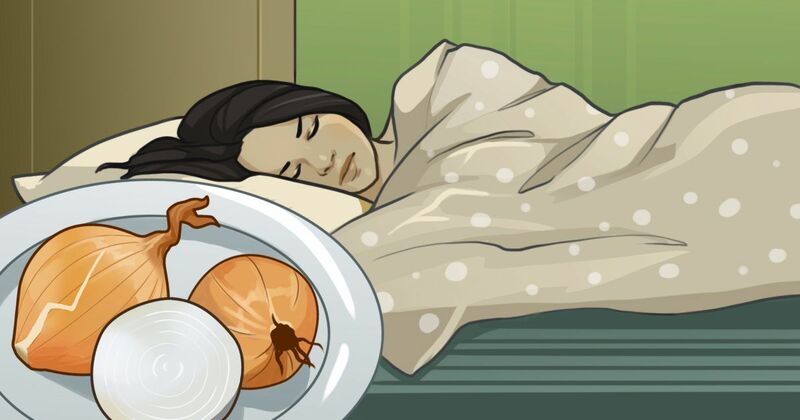 A natural remedy that has come to life again is leaving a cut up onion in a bowl on your nightstand to prevent the flu. The onion supposedly attracts the flu and cold viruses, keeping you healthy. Healthline says, "Viruses also require direct contact with a human host to spread. Therefore, an onion would not be able to draw in a virus and absorb it." Putting out a raw onion in a bowl won't necessarily harm you, but it won't prevent illness either. As with all things, practicing moderation is wise. Don't go overboard with any one item; and if you have an allergy to onion, don't try any of these remedies. Onions may not be a cure-all, but you can enjoy the added flavor to your food, knowing you're being healthy in the process.